Adani Developers is a highly progressive company with wide operations in sectors like Power, Infrastructure, Global Trading, Logistics, Energy and FMCGs. It was established by Gautam S. Adani in the year 1988 with the promise of high quality standard and customer satisfaction. Adani Builders has won various awards and trophies for excellence like Niryat Shree Gold Trophy, SOPA Award, Five Star Export House Award and many more throughout the journey. 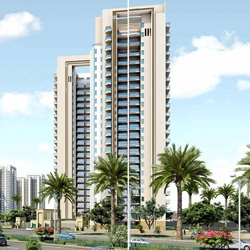 Adani Builders has developed integrated township ‘Shantigram’ in Ahmedabad with both residential and commercial spaces; recreation zones; sports and leisure fields; private and public constituents, etc across Mumbai.